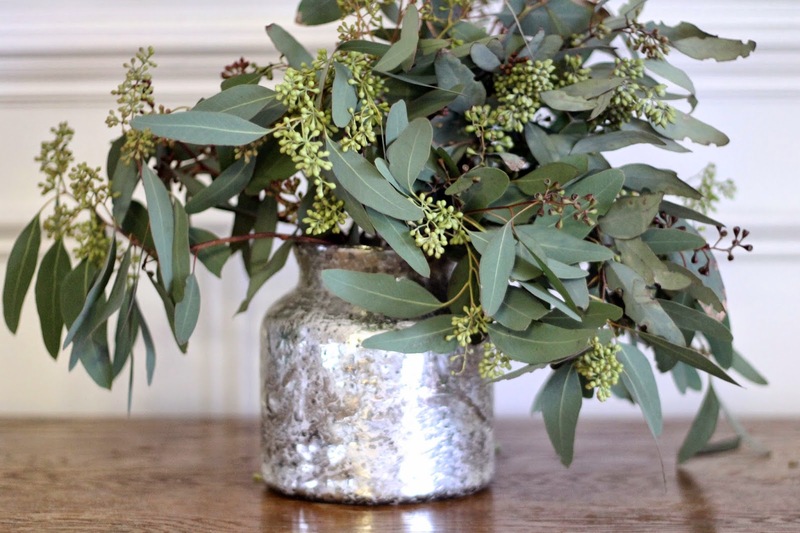 Florals were a huge influence in my wedding. I had an awesome florist who brought my vision of a garden party to life, and since our wedding my loves for florals has only grown. Since I cannot afford a professional floral arrangement every week I usually resort to making my own. Sometimes they turn out great, sometimes they look like crap, but I always enjoy making my own floral arrangements at home. 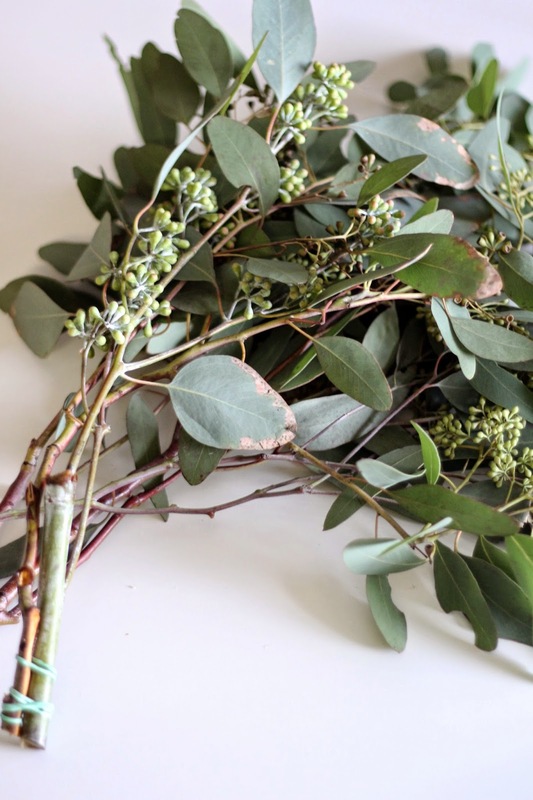 Eucalyptus is great for beginners. It is fairly inexpensive (I got mine at Trader Joe's for $3's a bunch) so you can buy multiple bunches to create a lush look without breaking the bank. Plus, working with one --- makes arranging easier. 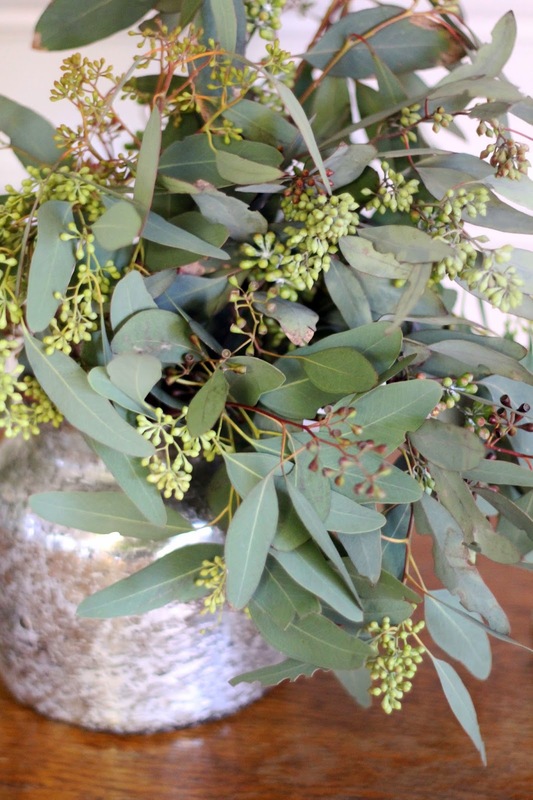 Follow the steps below to create your own eucalyptus arrangement at home. Start by working from the front. 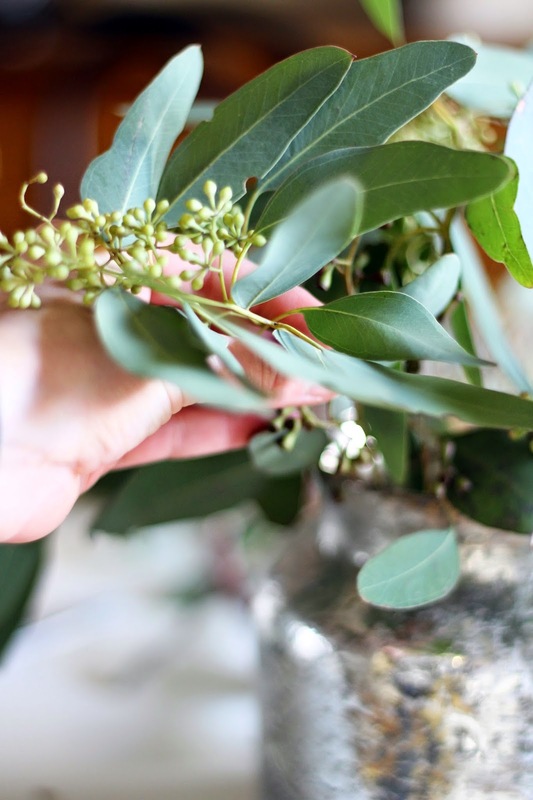 Trim a few of the wider branches so they just peek out of the vase, and leave the rest longer. Start by placing the smaller, wider pieces in the front. You may need to use a rubber-band to keep them together. 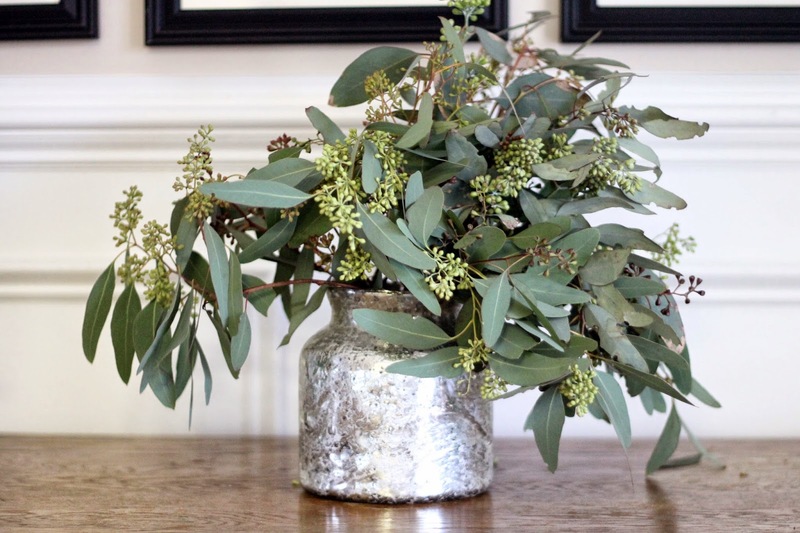 Decide which side you want to be fuller, and being placing branches to this side so they loosely drape out of the vase. Continue working until you've reached desired fullness.